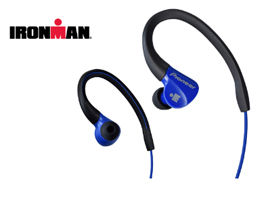 The SE-E3M IRONMAN® sports earphones are ultra-light weight, affordable earphones that sound great. Built to be lightweight and flexible, Pioneer IRONMAN® sports earphones give the perfect balance of comfort and audio performance for your active lifestyle. Featuring stay-in-place designs for a snug fit, durable materials with water/sweat-resistance make them ideal for most activities.